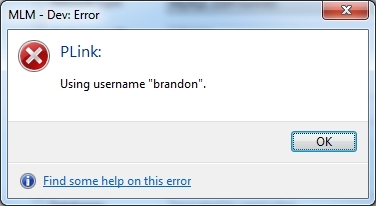 Recently, I started getting the attached PLink error displaying my username when launching any of my saved HeidiSQL sessions. After clicking OK, my MySQL session connects and I can work with no issues. Does anyone know why I'm getting is this PLink "error"? I really appreciate your excellent development and support.